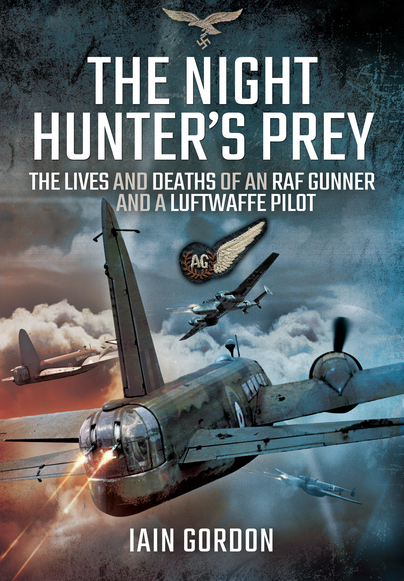 You'll be £25.00 closer to your next £10.00 credit when you purchase The Night Hunter’s Prey. What's this? Alec completed his first tour of 34 operations with 115 Squadron and was awarded the Distinguished Flying Medal by the King. After a year as an instructor, Alec was commissioned and returned to 115 Squadron as Gunnery Leader. He took part in the first 1,000 bomber raid and was described by his Squadron Commander as the best rear gunner he had ever flown with. At the same time Helmut was building up an impressive score of victories as a night fighter pilot and a national hero who was decorated by the Führer. In July 1942, just as both men reach the apex of their careers, they meet for the first time in the night skies over Hamburg. As this fascinating book reveals, only one will survive. This is the story of two airmen - an RAF Rear Gunner and a Luftwaffe Pilot. Alexander Ollar was raised in the Highlands of Scotland. He became an exceptional sporting shot and volunteered as an RAF Air Gunner in 1939. Helmut Lent enrolled for pilot training in the Luftwaffe as soon as he was old enough. Both were men of integrity and honour. At the same time Helmut was building up an impressive score of victories as a night fighter pilot and a national hero who was decorated by the Fuhrer. In July 1942, just as both men reach the apex of their careers, they meet for the first time in the night skies over Hamburg. As this fascinating book reveals, only one will survive.